Medical BioMagnetism consists of applying very powerful magnets (between 1,000 and 15,000 Gauss) on different parts of the body to balance the Ph. They neutralize the Ph of the area and pathogens immediately die, since they can not survive in a neutral Ph environment. Cells become healthy and the body starts healing itself. A form of healing that is here on the planet for the very first time. It reconnects us to the fullness of the universe as it reconnects us to the fullness of our beings and of who we are. It is considered to be able to reconnect us to the universe and to our very essence not just through a new set of healing frequencies, but through possibly an entirely new bandwidth. The reality of its existence has demonstrated itself clearly in practice as well as in science laboratories. The umbrella process of reconnecting to the universe, which allows Reconnective Healing to take place. These healings and evolutionary frequencies are of a new bandwidth brought in via a spectrum of light and information. It is through The Reconnection that we are able to interact with these new levels of light and information, and it is through these new levels of light and information that we are able to reconnect. This is something new. This is different. This is real and it can be entrained in each of us. 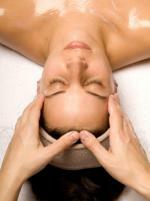 Reiki is an ancient energy healing art that means the "Universal Life Energy". A treatment focuses on reconnecting mind, body, and spirit. A session will result in profound relaxation — a state in which the body heals, repairs and rejuvenates, like a deep, restful sleep… it is an excellent antidote to emotional and physical stress. Through the balancing of the body's energy it can result in pain reduction, self-healing, and a serene sense of well-being allowing the receiver to better manage his/her life issues — physical, emotional, mental and spiritual. Ear candling, also called ear coning or thermal-auricular therapy, is an alternative medicine practice claimed to assist the natural clearing of earwax from a person's ear by lighting one end of a hollow candle and placing the other end in the ear canal.